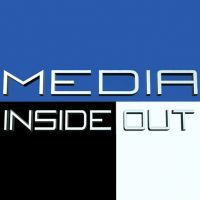 Media Inside Out is a television talk show that explores the media we love to watch, listen to, read and play with an analytical and critical approach. Topics have included a discussion of diversity in commercials; the influence of news editing; and the shift in audience role from consumer to author. Media Inside Out approaches media with an appreciation for its potential as entertainment, and even as an educational tool, but balances that with an understanding of its impact and influence. Each episode digs deep into a specific media theme or media property. The series is produced and hosted by Sherri Hope Culver, director of the Center for Media and Information Literacy at Temple University. Program segments and information are conveyed in an entertaining, playful manner. The show explores, reveals, clarifies, and ultimately helps the audience appreciate the power of the media in their lives and their relationship with that media.Media Inside Out promotes creative and intellectual dialogue, while encouraging viewers to analyze their own media habits. Caring and treating others with kindness is what we all try to teach our children. We try to teach children empathy – to put yourself in other people’s shoes. But what happens when there are reality television shows that involve violence, harsh language and the storyline has the characters fighting only to win for themselves? How does the media portray empathy? On this episode of Media Inside Out, host Sherri Hope Culver and guests Dr. Frank Farley from Temple University, and Jennifer Kotler-Clarke, VP of Content Research & Evaluation at Sesame Workshop, will consider the intended and unintended effects of how the media portrays empathy.